The basic premise of cooking food and providing diners with a positive experience isn’t overly reliant on digital tech. However, given that virtually every business sector can benefit from modern tech features, it’s no surprise to learn that yours can too. When used in the right way, the best tech features can transform your entire business. Here’s how it can be utilized to enhance the most significant aspects of the venture with almost immediate results. The restaurant industry is one of the few sectors where passing trade and foot traffic are still vital. Nevertheless, you’d be very foolish to assume that spreading the word through smart marketing isn’t required. If anything, getting the digital branding elements right is more crucial than ever. Most consumers will use their smartphones to find places to eat, even when they are already out. Understanding the Google My Business platform may help you gain the positive reviews needed to win new clients over. You can additionally use special deals to get punters through the door. As with any modern business, a great website supported by strong SEO and an active presence on social media will work wonders too. After all, if potential diners like the brand, they are far more inclined to give you a try. 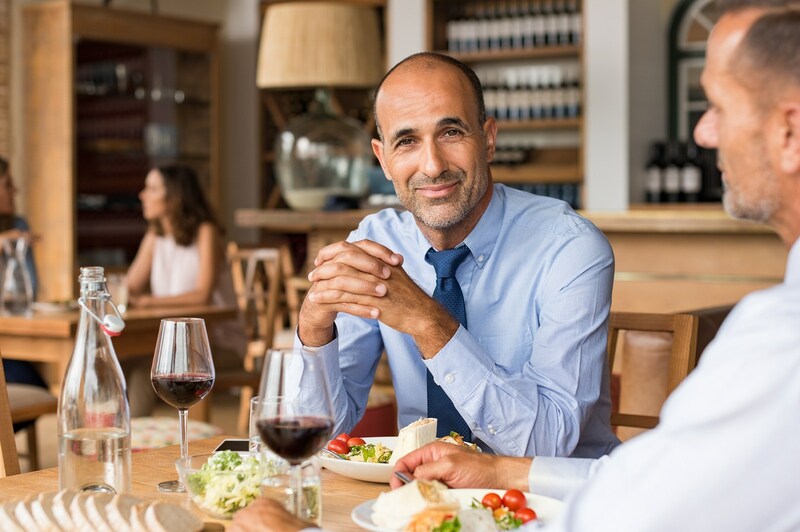 This is what you need to know about the restaurant business. While your restaurant should always let its food do the talking, this isn’t the only ingredient for success. Keeping diners happy requires an immersive and enjoyable experience. As such, every issue from staff training to the décor in the dining areas will have an impact. Do not forget it. Technology can be incorporated into training methods to build a consistent and motivated team. More importantly, though, you can use technology to communicate with diners ahead of their visit. Booking reminder text messages are just one example of how to build a professional vibe. Investing in a digital cash register for a small business operation can be very useful too. It offers a sense of versatility and portability that traditional methods can’t match. This, added with modern payment methods like Apple Pay, can make the whole process more convenient. Here’s what all restaurants need to do to succeed. A host of tech resources can be used to aid the cooking processes and even keep ingredients fresher for longer. Commercial kitchens can be particularly hectic workspaces. As such, anything that lets your chefs stay organized can only be a positive feature. For time management alone, modern tools are key. Aside from helping chefs in the kitchen, tech can be used to aid the menu choices. Reviews are one thing, but tracking data is far more effective. A loyalty program will help you collect basic data. More importantly, though, you should monitor which dishes are selling. This info is telling. When technology is used to create the most popular menu, you’ll be sure to see punters keep coming back for more. Diners vote with their wallets, and a restaurant that takes note of this will always perform well. It truly is that simple. You need to know these important money tips to run a profitable restaurant.